People celebrate as at midnight a beach ball, covered with Christmas lights, is dropped from a building onto West Market Square in Downtown Bangor on New Year’s Eve. 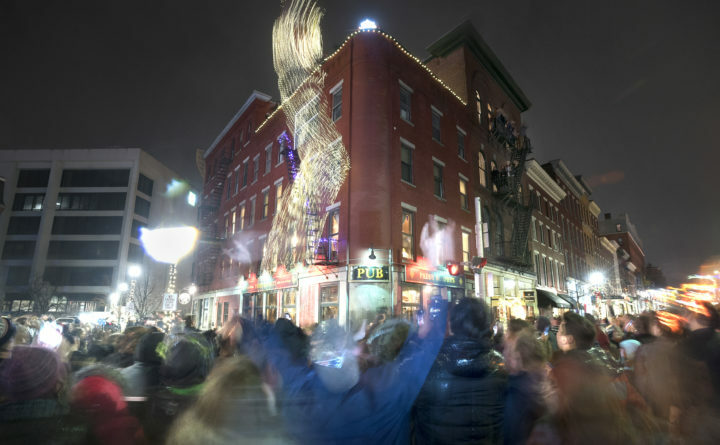 Despite the ice and midnight rain, hundreds came out to West Market Square the evening of Dec. 31 to see Bangor’s annual New Year’s Eve tradition: tossing a light-covered beach ball off the roof of the building that houses Paddy Murphy’s. Bars stayed open late, local businesses hosted events and people seemed undeterred by the less-than-warm weather. It is Bangor, after all. 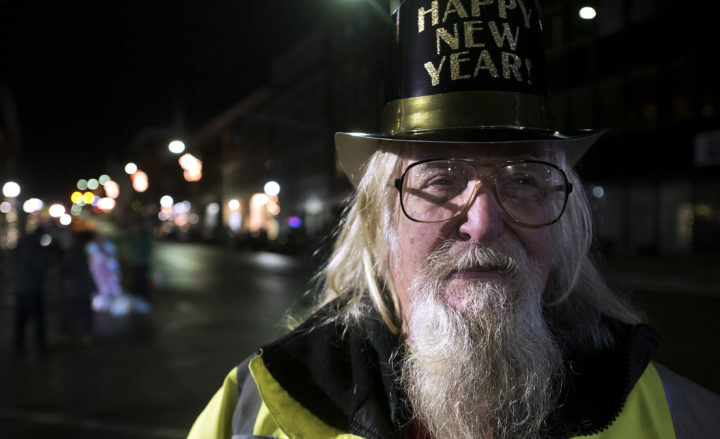 Jim “Crash” Moreau of Lincoln came to Bangor to see the festivities on New Year’s Eve. 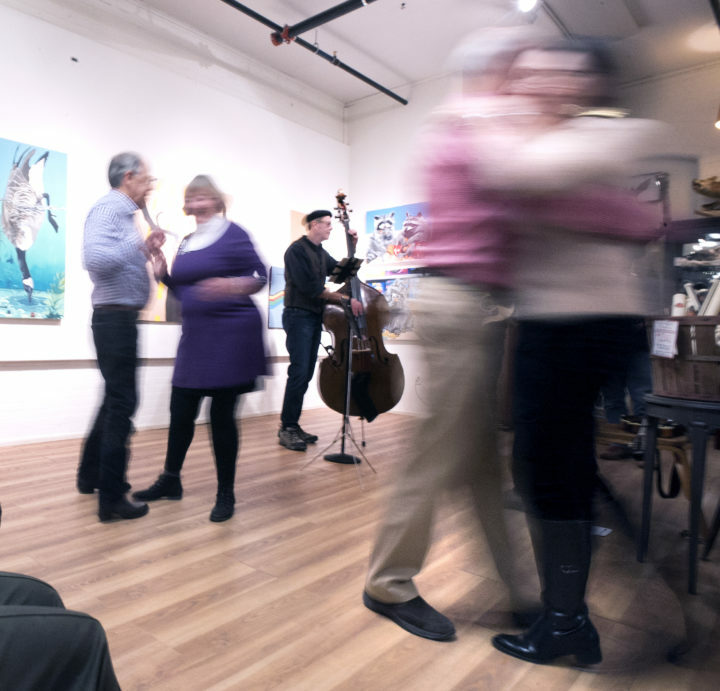 People dance to the music of the Tough End String Band at the Rock and Art Shop in Downtown Bangor on New Year’s Eve. 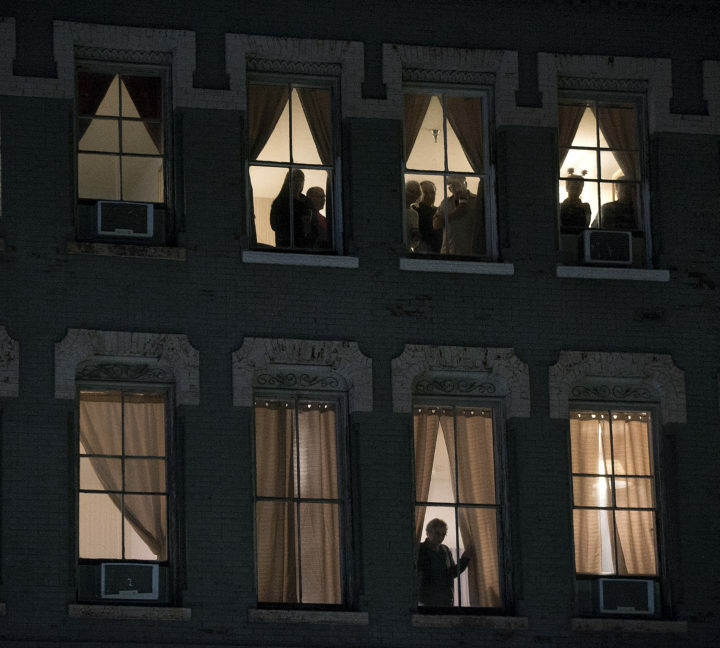 People watch New Year’s Eve celebration from the windows of the Charles Inn in downtown Bangor on Monday.